JUVÉDERM VOLUMA® XC From Allergan. volume for the Mid-Face and Cheek Area. Return youthful proportions between your upper face and chin. Aging is manifested in the loss of volume in the upper face and below the eyes. 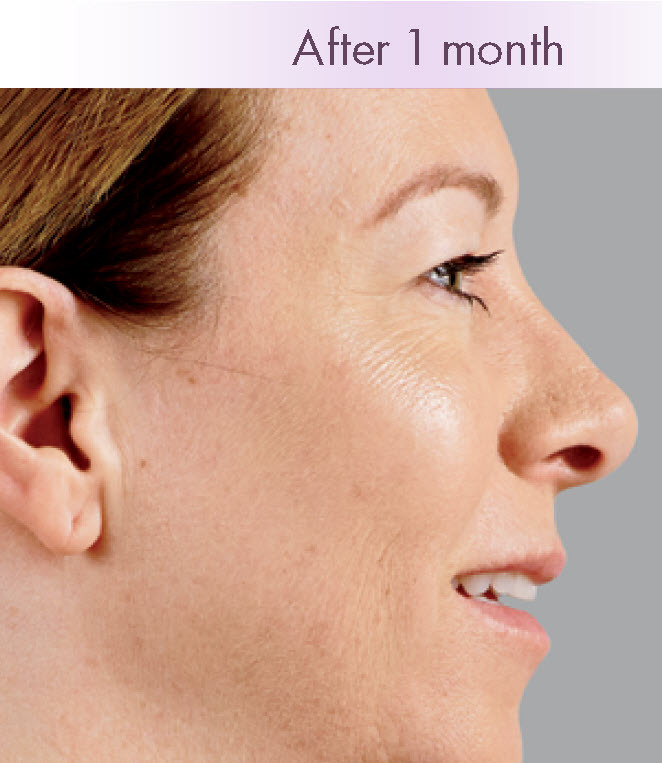 JUVÉDERM VOLUMA® XC from Allergan is the first injectable gel approved to replace this volume loss in the upper face. When we're young our "baby face" signals to the world our youth and inexperience. As we age the the collagen in our skin decreases in thickness and the fat in our face shrinks and moves downward. JUVÉDERM VOLUMA® XC replaces that loss facial volume, helping to restore your youthful look and minimize the signs of aging, such as hollow eyes and shallow cheeks. Photographs are used for illustrative and teaching examples only. Results vary by person. Limitations of sun exposure and good diet and exercise habits may positively influence your results. What is JUVÉDERM VOLUMA® XC helpful in treating? ** Results vary. Board-certified plastic surgeon, Dr. Arthur Swift explains the difference between Juvéderm Voluma, one of the new fillers on the market, and the original Juvederm. "Juvéderm Voluma is a hyaluronic acid. It is ideal for cheek recontouring because of its ability to create the 'OG' curve, a nice and smooth curve on the cheek," explains Dr. Swift. Juvederm Voluma Described As A "Lifter" in this video on Facial Contouring. Dr. Arthur Swift talks about the differences between the original Juvederm cosmetic filler and Voluma cheek contouring. ** Results vary. See Diane's testimonial on her experience with Voluma. A consultation for new patients. Depending on individual goals and the condition of your skin, a pre-treatment plan may be recommended to prepare your skin for a JUVÉDERM VOLUMA® XC procedure. This may include a reduction in blood thinning products such as aspirin prior to your treatment. 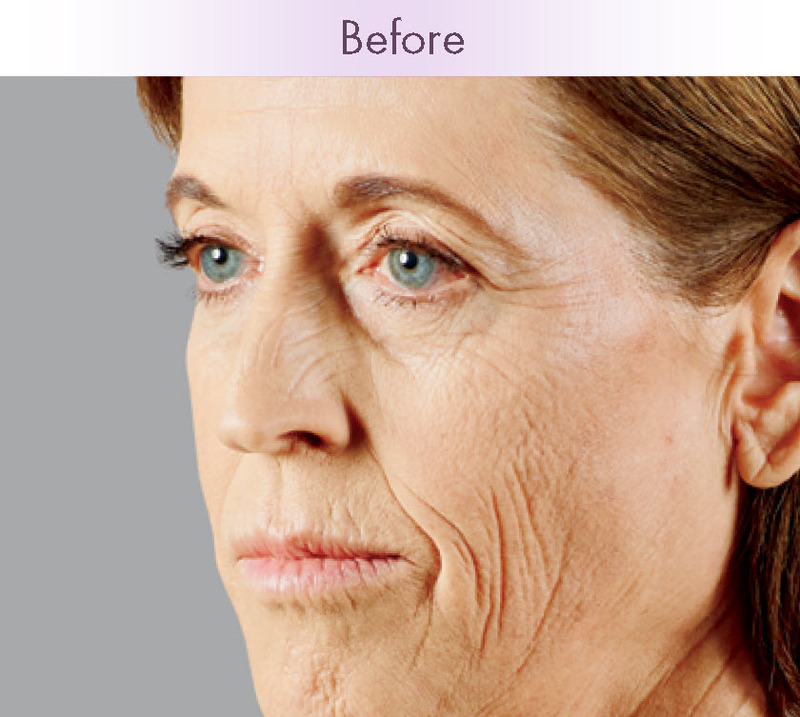 The JUVÉDERM VOLUMA® XC procedure can take as little as forty-five minutes. There can be discomfort with the injection, this can vary by injection site and patient. Bruising is always possible with a JUVÉDERM VOLUMA® XC injection, please plan your schedule to accommodate for the possibility of bruising. Usually no downtown is experienced. Treatments are usually repeated every six to eighteen months. JUVÉDERM VOLUMA® XC is made of hyaluronic acid with a patented methodology of production. Hyaluronic acid is naturally produced in your body and it's production slows as we age. Results from JUVÉDERM VOLUMA® XC are seen immediately and can last as long as two years. During your consultation the Spa 35 staff will review contraindications that prevent you from being a candidate for JUVÉDERM VOLUMA® XC. Bruising can occur at the injection site. Depending upon your treatment choice a number of injections may be done into the treatment area. Each of these injections has a risk of bruising and infection. Refer to the informed consent form that is provided prior to the treatment for a full listing of risks. Completion of a consultation with a skin care specialist. During this consultation patient concerns and goals are discussed. This can include development of a comprehensive plan to reach those goals that includes Spa 35 procedures and at home lifestyle changes and skin care habits. Establish any pre-procedure routines. This may include the cessation of blood thinning agents such as aspirin prior to the injections. Schedule the JUVÉDERM VOLUMA® XC injections. Please be sure your schedule allows for post injection bruising. While bruising is infrequent it does occur. And it always seems to occur when and important event is forth coming. Follow the post procedure instructions. This may include icing/cooling of the treatment area to reduce swelling and bruising. Improve lifestyle habits that produce damaged skin. Increase healthy food intake that is rich in nutrients good for you and your skin (i.e. oranges for vitamin C), use a sunscreen with physical blocks (i.e. titanium dioxide), add Retin-A, vitamin C and peptides to your skin care regime. 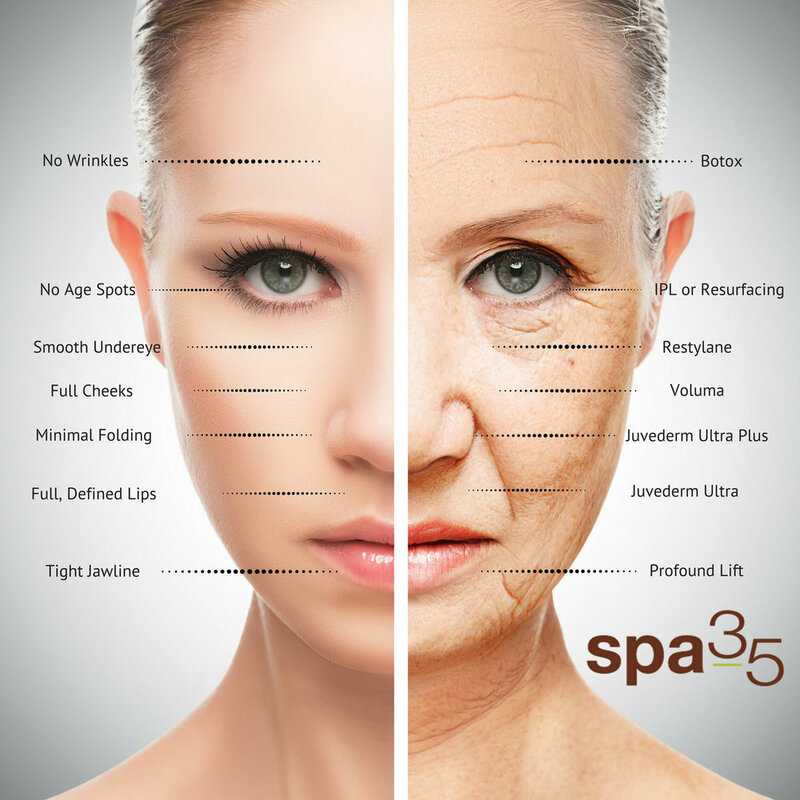 Why Chose Spa 35 Med Spa for Your Cosmetic Treatments? The medical providers at Spa 35 Med Spa have been delivering cosmetic services for twelve years. Our staff includes Nurse Practitioners, Registered Nurses and Aestheticians. Experience - Spa 35 Med Spa has been helping clients Look and Feel their Best for twelve years. Medical Staff - The team is led by Nurse Practitioners and composed of Registered Nurses and aesthetic skin care professionals. Industry Leadership - Warren Danforth, the Spa 35 owner, is a Key Opinion Leader for Syneron-Candela's Medical Spa Program. Syneron-Candela is a global non-surgical aesthetic device company. Broad Scope of Expertise - From Botox to CoolSculpting Fat Reduction and Vaginal Rejuvenation, Spa 35® Med Spa has an extensive set of experience to help you reach your goals. This means you get the expertise to help you select the service(s) are right for you and your budget. Continuum of Cosmetic Services - A Cosmetic Surgeon in the same building as Spa 35. If your goals are best met through procedures than those offered in our Med Spa we can refer you to a surgeon. Looking for a facial or massage? We can also suggest great providers for those services. Customer Reviews - Spa 35 has the most Google five star reviews among Med Spas in Boise. We also have great reviews on Facebook and YELP. How does JUVÉDERM VOLUMA® XC work? As we age we lose volume in our face from decreased amounts of hyaluronic acid, collagen, and fat. This volume loss can make our faces look shallow and create hollow areas under the eyes. It may also increase the number and impact of skin wrinkles as the same volume of skin is covering a smaller volume of facial structure. Made from a synthetic version of hyaluronic acid, JUVÉDERM VOLUMA® XC replaces the loss volume, and adds volume to areas of the face typically fuller in our youth. Replacing the lost volume can restore a more youthful appearance and improve the appearance of wrinkles. Is JUVÉDERM VOLUMA® XC safe? Yes, the FDA has reviewed and approved JUVÉDERM VOLUMA® XC injectable gel for use in the mid-face area. There are warnings for patients that have allergies to lidocaine. The FDA and Allergan have published a lot of documentation on the safety of JUVÉDERM VOLUMA® XC. Allergan has published a fact sheet on JUVÉDERM VOLUMA® XC injectable gel that you can download with this link. The JUVÉDERM VOLUMA® XC material is found under the skin for up to eighteen months. Some patients may want to be treated more frequently to maintain their desired results. Predicting the longevity of JUVÉDERM VOLUMA® XC is dependent upon the individual and their procedure. How much does JUVÉDERM VOLUMA® XC cost? JUVÉDERM VOLUMA® XC is sold by the injected syringe. Pricing vary, typical pricing is $800-$2,000, to get current pricing please contact us. When considering Juvederm injections note that an individual procedure may include multiple syringes of JUVÉDERM VOLUMA® XC. During your consultation the Spa 35 skin specialist can provide a more accurate estimate of the number of syringes recommended to help you reach your goals and the current price per syringe. volume deficit in the mid-face in adults over the age of 21.
severe allergies, and a history of allergies to gram-positive bacterial proteins or lidocaine. itching. They were predominantly moderate in severity, with a duration of 2 to 4 weeks. To report an adverse reaction, please call Allergan Product Surveillance at 1-877-345-5372. JUVÉDERM VOLUMA® XC injectable gel is available by prescription only. Master Certification for CoolSculpting - The Only Masters in Idaho! April Specials. Celebrate 12 Years of Helping You Look and Feel Your Best! CoolSculpting Day at Spa 35! Enter to win a free treatment! DualSculpting - CoolSculpting Times Two! 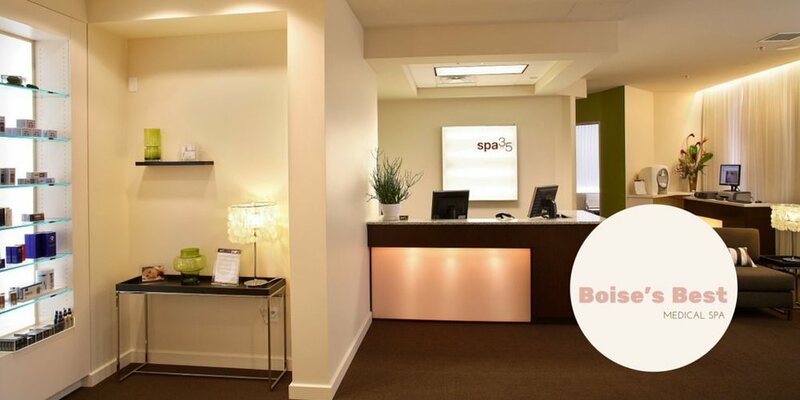 Boise's Medical Spa (Med Spa) Serving Boise, Meridian, Eagle, and Southeast Boise Idaho. Spa Thirty Five. The information on this site is for the distribution of common information on the uses of cosmetic and aesthetic procedures and products. It is not to be considered medical advice. Spa 35 provides patients with consultations and informed consent documentation that outlines potential risks and medical contraindications associated with procedures and products delivered and sold at Spa 35. Please thoroughly review that documentation prior to any procedure and acknowledge your review and understanding of the risks. *Results vary by person. Photographs are used for illustrative purposes and not as representations of your individual results. Client reviews may not be representative of your results. **This website contains links to third party websites that are not owned or controlled by Spa 35 Med Spa. Spa 35 Med Spa has no control over, and assumes no responsibility for, the content, privacy policies, or practices of any third party websites. In addition, Spa 35 Med Spa does not censor or edit the content of any third-party site. Spa 35 Med Spa does not represent results of cosmetic procedure depicted in third party websites as representative of results achieved at Spa 35 Med Spa. By using the Spa 35 Med Spa website, you expressly relieve Spa 35 Med Spa from any and all liability arising from your use of any third-party website. *** Financing plans are provided by third party vendor, GreenSky Finance. Advertised monthly payments represent a $2,349 purchase financed for 24 months with GreenSky. Client relationship for financing is strictly between GreenSky and client. Spa 35 does not manage or influence GreenSky policies and practices.